The real estate industry was one of the first to embrace the power of the internet. The complex world of real estate buying, and particularly in an overseas country, became simplified and friendly for everyone. The best real estate blogs in the world will help you, the prospective client who wishes to purchase property abroad, wrap your head around the process, and moreover – help you find the holiday home you want to buy abroad with as little hassle as possible (while of course using a cheap money transfer). In this article, we want to celebrate the efforts of the best real estate brokers who made sure to cater to their online audience. The Close is a new kind of real estate site designed to give agents, teams, and brokerages actionable, strategic insight from industry professionals. We cover real estate marketing, lead generation, technology, and team building strategies from the perspective of working agents and brokers who want to take their business to the next level. Rick Hilton and Jeff Hyland established this firm in 1993. Their basic intention was to create a small real estate outlet that could match the demand of consumers in this market. 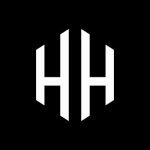 They deal in all types of residential and commercial properties, and their portfolio includes international properties as well. Having thousands of listings added to their official website, Hilton Hyland’s annual turnover is counted in millions of dollars. Besides this, they have also been actively involved in philanthropic activities. Some of their most served communities include Young Musicians Foundation, Vista Del Mar, and Food on Foot. As their tag line mentions, “Trusted for experience – Respected for results”, they’ve been actively involved in the real estate industry since 1973. Unlike many other businesses on this list, Kathy Clulow is also known for providing market updates to their viewers. As far as the residential and commercial properties are concerned, their listing is aimed towards the price range that is more affordable for middle class citizens (however, they do include some luxury and expensive properties). 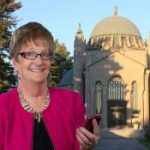 Kathy Clulow’s main targeted areas include Uxbridge, Brock, Georgina, Scugog / Port Perry, and Whitchurch. 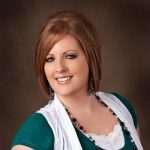 Teresa Cowart is considered to be among the most reliable sales agents. According to what she mentions on her blog, she sells an average of hundred homes every year. This obviously reveals that her skills comprise of all elements required in the real estate industry. Another great thing about Teresa Cowart is that she is willing to work with her clients 24/7. This type of commitment isn’t something we see often. If you are planning on buying or selling a property, she’s probably the right choice for you. 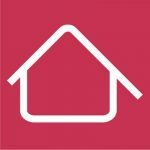 MyHome.ie is an Ireland based blog that gives readers tips on real estate trends within the regions of Dublin, Cork, Limerick, Waterford and Galway. The site gives visitors insight on the hottest properties in the market available for rent or sale. 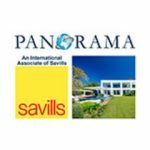 Since it was established in 2001, the blog has simplified the experience of searching for houses for more than 100,000 home-hunters in Ireland, it has also provided real-estate agents with a convenient and effective tool for marketing their property. Currently, there are about 1,200 estate agents who regularly list homes for sale or lease on the site’s four business sections of Commercial, Lettings, Residential and Overseas. Apart from this, she regularly posts different tips and tricks of saving money when buying or selling a property. In short, she’s a good deal if you’re looking for a property in Bloomfield, Birmingham, Beverly Hills, Franklin, Rochester, Royal Oak, and Troy. 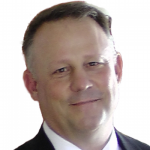 This website is created and maintained by Jay Ferguson, and for the past for 20 years he has managed to train himself in all areas of real estate. His knowledge about the real estate industry is pretty deep, and this has allowed Jay to earn several awards, including “Rookie of the year” in 2001. He’s the guy who’ll not only help you with sales and purchases, but also rental services of the properties. Unlike other websites on this list, ILoveDeepCreek covers the highest number of cities. 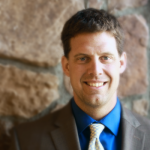 Mark Ferguson, who has been working as a licensed real estate agent since 2001, started Investfourmore. 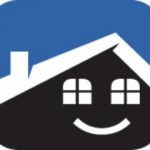 Investfourmore has been featured on many high authority online magazines, such as Forbes, The Washington Post, The Huffington Post, Money, Realtor Mag, and Zillow. Along with all the services offered by investfourmore, it also has a community (forum) where you can seek out for relevant information and get updates on your queries. Investfourmore provide their readers with all the necessary information in the form of blog posts and eBooks. According to Mark Ferguson, he’s someone who can help you retire faster by investing in real estate. His knowledge about the market and popularity clearly indicate that he’s correct in these claims. 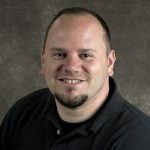 Ryan Fitzgerald, who has been providing real estate solutions for many years, started Raleighrealtyhomes.com. They claim to operate differently as compared to other real estate agents, because their main focus is not to generate sales, but to provide an excellent customer experience. Their property listing section consists of hundreds of different properties in 7 different neighborhoods. The best part is that they update their listing every 15 minutes, which makes it easier for the users to find the most relevant and recent results. The company opened its first Marbella office in 1970 and is owned by Christopher Clover, who also acts as the Managing Director. He’s closely assisted by his children Katinka and Alex. The blog specializes in sale and rental of luxurious apartments, villas and townhouses in Marbella’s Golden Mile area, as well as other surrounding territories like Estepona-east and Benahavis. They also have services for property administration, sale of investment and commercial properties and property administration. 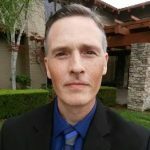 The person behind Phoenixrealestateguy.com is Jay Thompson, who along with his team has been providing real estate solutions to property buyers and sellers. As the name of this website indicates, the property listings on “Phoenix real estate guy” are only located in Phoenix. Unlike many other websites on this list, this one is primarily focused on dealing with properties below 500,000 dollars. Jay Thompson regularly updates his blog section where he provides relevant tips and information (along with infographics) for his readers. Keeping Current Matters doesn’t actually provide real estate solutions. The sole purpose of this platform is to keep the readers updated of any news related to the real estate world. This service comes in 3 different categories and these services are especially useful for individual agents, teams, and brokerages. The best part of KCM is that you can even try out their services for up to 14 days without any charges. This website was founded in 2007, and their mission is to provide timely and quality information to their readers, offer guidance and insight, and making the materials easily accessible. In addition to these services, they also keep their blog section updated for their readers. It’s an authoritative and expert blog that gives readers insight on various aspects of the real estate market in Chiang Mai, Thailand. Whether you’ve just moved to the area, or are an established resident but still can’t seem to find the answers you need then this blog provides a lot of useful information on Chiang Mai property. There are various topics of discussion on the blog such as commercial real estate matters, running a hotel or guest house and the highs and lows of the previous property season amongst other topics. Perfect Homes provides a candid look on all matters property, so that readers can have all the answers they need concerning the Chiang Mai property market. PropertyNet.SG is a trusted blog that offers readers unrestricted access to valuable details about the Singapore Real Estate market, such as site plans, project details, floor plans, prices, and photos. The best thing about this site is that all information posted on it is free, you don’t have to sign up to receive any material. Moreover, the site administrators have collaborated with other industry players to empower readers to make wise property decisions, they include bankers, property agents and lawyers amongst other officials. Additionally, all project information posted on the site is sourced from the Official Developer Sales team in order to guarantee accuracy and consistency. The editor also has a strict policy of ensuring that the property blog is educational and unbiased. 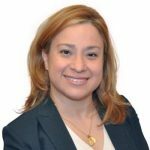 This website was created by Janis Borgueta, who is one of the most well known real estate sales persons in Hudson Valley. The property listings on this website are mostly based in areas such as Ulster, Dutchess, Orange, Putnam, Rockland, and Westchester. Her vast knowledge and 12 years of experience in the real estate world makes her an expert on the services she provides. Just like many other websites on this list, “My Hudson Valley Properties” also has a blog section where they provide relevant information and tips required for buying and selling real estate properties. Cincinnati and Northern Kentucky real estate offer different real estate solutions for residential and commercial properties. This website not only claims to sell your property, but also promises to provide an overall good experience. In addition to that, they also offer a free market analysis for pricing your property. 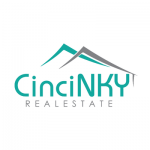 Cincinnati and Northern Kentucky real estate deals with properties located in 64 different communities. 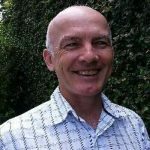 The guy behind this website is Paul Sian, whose vast experience of more than 10 years makes him a reliable choice. 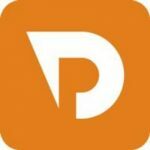 Propwise is a Singapore real estate blog that’s dedicated to providing tips on buying, selling, renting and investing in property within the region, the site was founded by ‘Mr. Propwise’ who is also a fund administrator for an investment company and a Chartered Financial Analyst. Apart from articles, the site also has a Singapore Property Weekly issue with detailed property insights that many readers find useful. Propwise predicts that 2018 would be a vibrant year for the real estate market, considering that home prices have so far been moderate. Statistics show that there has been a 10.8pct correction over the past few months, which is a good sign of growth in the industry. 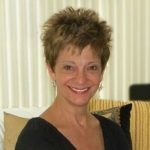 This website is created by Mary Pope-Handy, who has been working in real estate market for almost 25 years. 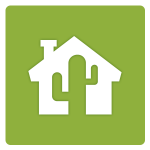 This website features hundreds of different residential properties in Santa Clara, San Mateo, Santa Cruz. Their basic services for property buyers and sellers include everything from start till end. They can even help you out in other areas, such as valuing your property, financing, and acquiring loans. Further, they also have a blog section where they update readers about the latest market news, and property buying and selling tips. Great Colorado Homes has been in the real estate business for many years. Their services are no different than other websites on this list, except for the fact that they cover many different locations. 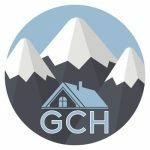 They also have a customer review section, which indicates that their customers are pretty satisfied with the services Great Colorado Homes Provide. When selling your house, they’ll assist you through all the required steps, such as calculating the worth or the house, mortgage pre-approval, and calculator. Alpine Property consists of a team of real-estate experts who met by chance in 1999, resulting in the first online estate agents service to be created in Haute Savoie, France. They also became the first property agency in the region to put actual information online, instead of just pictures and contact details. Though Alpine Property began by listing only 12 homes for sale in the Portes du Soleil area, today they have more than 400 properties all across the region. These homes are sold directly by the site and not through agents. The agency has a reputation of being transparent with everyone who seeks their services, they usually pinpoint the exact location of listed properties on Google map. 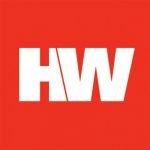 Housing Wire is a magazine based website, designed for providing all types of news, knowledge, and resources to the readers. This website is especially useful if you’re looking for different ideas to increase the worth of your house, the top real estate agents in your area, and tips for buying and selling real estate properties. 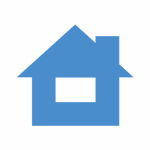 Housing Wire started back in 2006, and since then it has managed to establish itself into one of the most trusted and authoritative websites in the real estate niche. 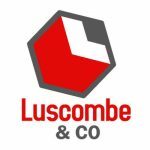 Luscombe & Co is a UK-based Lettings and property management agency that was recently rated by ThreeBest as the best business of 2017. 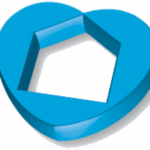 They pride themselves in being the first choice for devoted, personal and expert property services. 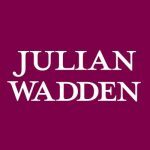 The agency runs independently and have been tenants and landlords themselves, meaning clients can benefit from their first-hand experience in property lettings. You can also contact them through phone to learn more about the benefits of using their services. 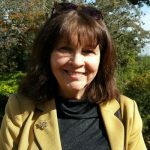 The company’s Senior Negotiator and Director is Sarah Luscombe, she works closely with other members of the team including Barrie McDowell, Hal Luscombe, Penny Walker and others. 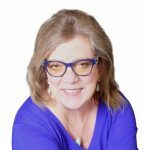 This website is operated by Laura Lake, who works as a realtor with Remax consultants. This website deals with the properties located in Palm Desert and La Quinta. Their home selling services also includes property valuation, which is absolutely free of cost. The company is one of the major players working in Palm Desert and La Quinta, and in case your property is located in these areas, Laura Lake would probably be the right choice for you. This is a popular New Zealand blog that gives readers insight on investing in property in the country, the site says that there’s less for investors to worry about if they focus on the necessary requirements for getting their preferred property. It also gives tips on how to manage property so as to increase its value, and ultimately get more cashflow for rental homes and equity. The blog recognizes New Zealand as a hot property market, since tenants are staying in their rentals much longer, meaning property owners have more to gain by investing in real estate. You can register on the site to become a member and receive exclusive information about the latest property trends. Erika started her career in real estate back in 2004. Since then, she has been providing useful information and advises for her blog readers. This blog is not just focused on real estate; it is also divided into many other sections such as health, parenting, movies, and recipes. However, the large portion is based on relocation and tips for buyers, sellers, and landlords. 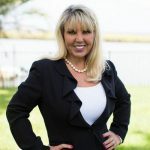 Her vast knowledge in the real estate world makes her a excellent person to ask for help and advice related to buying and selling your property. 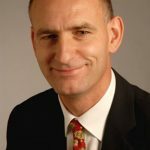 SidCup is a UK property agency that has been in operation since 1996, the site is owned by Paul Long who has a BSc in Building Surveying. He runs the business together with some colleagues from their Drewery office. The blog discusses what’s happening in SidCup town’s property market, and also touches on specific streets and housing estates within the region. SidCup tries to look at the market as a whole and recommend what they consider as the best real estate investment opportunities for readers. Moreover, they encourage people to contact them if they see any potential deal and require a second opinion from the experts. SidCup Property Blog also has a printed newsletter version that’s delivered to more than 10,000 local homes and businesses every month. 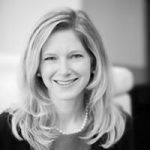 Jennifer Holden is yet another person to get in touch with if you’re willing to buy or sell real estate property located in Brittingham, Cape St. Calire, Carrollton Manor, Chartewell, Fair Oaks, Linstead, Olde Severna, Point Field, and Shipley’s Choice. 2017 marks as the sixth year of her working as a licensed realtor. According to what the reviews mention, she is very dedicated and consistent with the services she offers and she averages around 40 different clients per year. 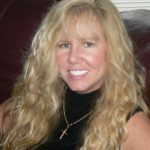 Along with all the services she offers, she also has a blog section where she shares news and other information related to real estate. Marple and the Bridge is a UK property blog owned by Jonathan Hyde, it provides insight, commentary and analysis concerning the latest real-estate opportunities for investors. The blog says there’s been a relatively strong performance in Marple, Mellor, Marple Bridge and Compstall property markets. Moreover, if you’ve just purchased a property and would want to know what specific reference checks to conduct on potential tenants, the agency can offer assistance. They work together with an external referencing service provider to ensure thorough checks are performed on every applicant. Details such as full credit checks, previous accommodation history, affordability checks and employment references would be taken into consideration before a tenant is accepted for renting. Minh and Angela Duong manage Mad Homes Utah with their more than 12 years of experience in the real estate business. As the name mentions, all the properties listed on this website are located in Utah. Their property selling services also include effective marketing strategies that are guaranteed to increase the exposure on your property listing. They also help sellers to evaluate the worth of their homes. You can easily apply for a loan online and once your application has passed through different evaluating steps, they’ll get back to you with the result. One important thing to note is that Madisonmortgageguys only deal with the properties located in Florida, Illinois, Wisconsin and Minnesota. 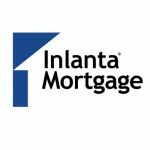 They also have their blog section where you can find all the relevant information about property mortgage. 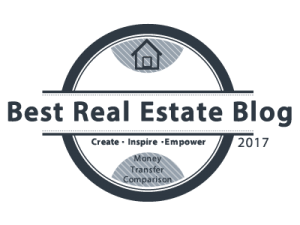 Addicted to Property blog is owned by the online real-estate news hub, Property Division. It highlights the latest updates and news concerning the property market, including tips and tricks for purchase and selling of homes. The blog also provides a guide on how to increase property value, work with other stakeholders in the industry and so much more. The site is described as the best bite-size option for keen but time-constrained property fanatics. It has a colorful and engaging feel but also offers readers a series of brief modern property trends mostly within London. Currently, Nelly Berova serves as the business development manager of Addicted to Property. 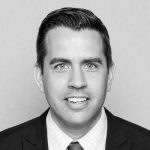 As the name explains, this is an appraisal blog operated by Ryan Lundquist, who has been working in this field for the last 14 years. His areas of work cover many different topics, such as real estate settlement, property taxes, bankruptcy, and divorce. 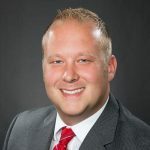 Ryan not only has deep knowledge about the real estate industry, but he also shares that knowledge with different real estate offices located in Sacramento. In addition to that, he is also a board member of Real Estate Appraisal Association. If you want more detail on the topics mentioned above, feel free to contact him. 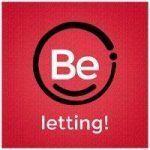 Letting Focus is a property consultancy agency owned by David Lawrenson, he is a property writer, public speaker, landlord blogger and media commentator with a great repute amongst his followers. However, his main area of focus is on real estate consultancy. They work with a wide range of organizations, such as banks and local authorities, to improve their property rental and purchase services. Letting Focus also helps clients to build their strategy on the private rental sector. Additionally, Lawrenson also finds time to provide help to landlords and private investors as a real-estate advisor and mentor. David Lawrenson has a degree from the Cardiff University and an MBA from City University. 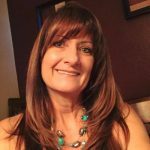 The woman behind The Las Vegas Luxury Home Pro, Debbie Drummond, has been actively working as a full time Realtor for the last 13 years. According to the website, their biggest priority is to get your property sold (for the best possible price) within 30 days. Their review section clearly indicates the satisfaction of their clients. Usually they carry out their business activities in Las Vegas, Henderson, and Summerlyn. 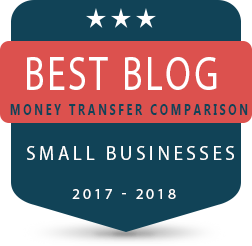 Just like the majority of other websites on this list, they also have a blog section designed to provide the readers with the most relevant current details about the market. 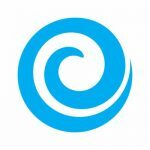 Organic Growth is a South African property blog owned by Warren Horak and Neil Vorster. Their mission is encouraging readers to take a leap in starting their own property investment business, encouraged by their current salary. Readers are given tips on how to create a great buy-to-rent property investment portfolio while still working in a typical job. This is an investment strategy of purchasing a residential property to be leased out for profit. They recommend investing in high yielding secure town-homes found in ample geographical areas. The blog is passionate about sharing this information with the common man in the street. The name Organic Growth comes from the fact that growth emanates from the firm’s existing businesses, and not from buying new businesses. 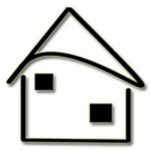 Rochester real estate blog specializes and carries out its business activities in Rochester and other surrounding areas. Keith Hiscock, who has been involved in real estate business for the last 30 years, started this company. His skills, knowledge, and experience have allowed him to earn many different awards. The company offers all kinds of real estate solutions such as home valuation, details related to mortgage and buying/selling tips. Their property listing comprises of hundreds of different properties starting as low as 50,000 dollars and rising up to several millions. Further, they also provide home valuation services and other tips and advice for their customers. 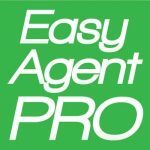 Easy Agent Pro is a web-based tool designed for real estate agents to gain online leads for their business. The people behind this concept include Tyler Zey and Robert Laprise. According to them, you need to adapt to modern technological tools in order to be successful in the real estate business. 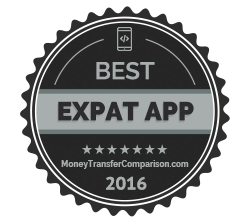 As far as the tool itself is concerned, Easy Agent Pro has gained wide popularity very quickly. In order to get started, you may also apply for a few reviews copy to test the features of this service. This blog is owned by Charlotte Baker, a Belvoir Lettings real estate agent from Melton Mowbray. She talks about current happenings in the region’s property market, looking at the town, surrounding territories, housing estates and specific streets. The author gives tips, guidance and analysis concerning the area’s property market, including advice for landlords who want to invest in the region. Melton Mowbray blog also lists properties from real-estate agents in town, so that investors can find decent buys and letting opportunities. As a reader, if you see a hot deal and require some professional advice before making a purchase, Charlotte suggests that you contact her through email or phone for a second opinion. 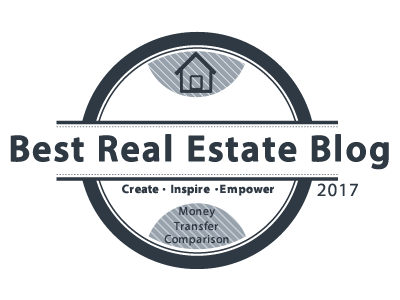 We hope you have enjoyed our selection of the top real estate agent blogs worldwide! come back for additional selections next year! If you know a contender for the list, let us know in the comment section bellow and who knows, maybe we will add it to the list! If you write or own any of the blogs mentioned in this list, Congratulations! Your efforts are recognized we are happy to put your blog in front of thousands of new people. 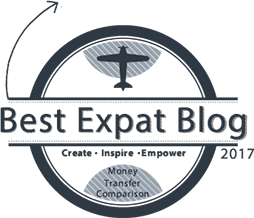 We have made a badge that you can easily put on your blog for the world to see. You just need to copy/paste the code bellow in a widget on your blog.